This entry was posted on June 27, 2014 at 9:38 am	and is filed under Stanley. You can follow any responses to this entry through the RSS 2.0 feed. You can leave a response, or trackback from your own site. Either way, it looks like a zombie with that hole in its face – yikes! Happy Friday, everyone! With those teeth – I’d say a beaver – a zombie beaver or some type of interspecies mix-up! 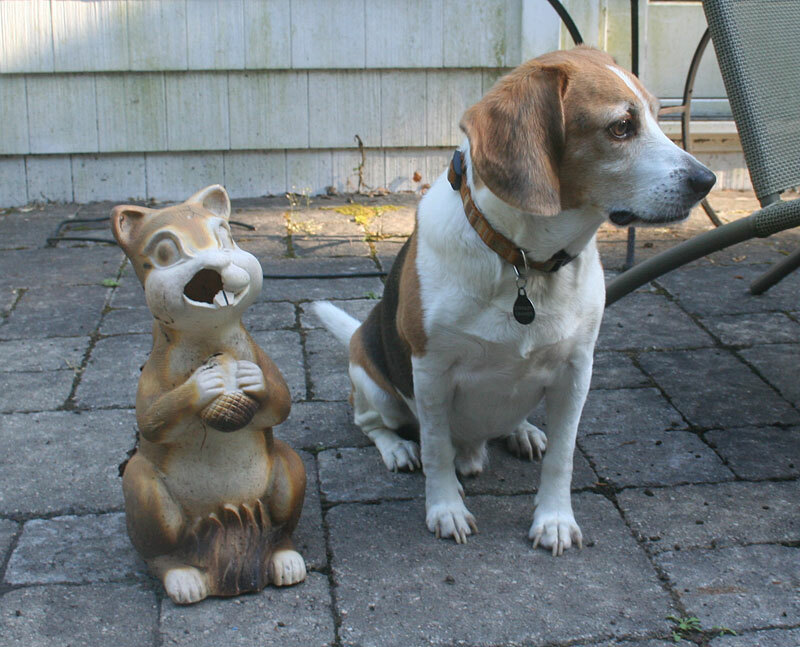 I con’t think that chimpmunks have ears—- so just by looking at the ears – I would have to say that this is a picture of one Squirrel and one Beagle. Happy Friday everyone – this has been one heck of a long week ! hahahah,,,,, no the other one! Yeah, whatever it is, it wants BRAINS! Whatever it is – it has a modesty patch. I say it is a squirrel. Poor thing, wonder how he lost part of his face? Oh squirrel, yes. With significant dental issues. yes one heckuva long week!!!!!! Judging by the long bushy tail (visible in other pictures), I say squirrel. Whatever it is, it needs better dental insurance. It is a squirrel he is holding an acorn.